In 1996 Jeff Sauer was an innocent 8th grader playing around with the Internet. He created a website dedicated to a video game he was playing at the time, which he admits was basically a copy of the strategy guide, and turned it into a website using the Netscape HTML editor (without actually writing HTML). After finding other similar sites online, Jeff joined a “webring” to connect his site with others in the community. This is where he realized the power of driving traffic to websites and how easy it was to connect with others online. In college, Jeff dabbled in affiliate marketing before he knew what affiliate marketing even was. He made beer money by directing people to his geocities page where they would fill out his affiliate form. Money was made, hats were worn (not of the white variety) and lessons were learned about building traffic to websites. Jeff was forced to learn search engine optimization the hard way in 2003, when upon graduating from college, his website showed up in search results and negatively affected the job search for a friend. Jeffsauer.com was the first search result for his name – along with an unflattering picture. He learned how to take down the result, his friend got the job, and Jeff’s search engine optimization career began. As a professional, Jeff has made a career out of helping find scalable and cost effective ways to drive online traffic to websites. Some of the sites are his own, but the majority are his clients. In 2004 and 2005, Jeff worked with a business partner to create blackcollegesearch.com and bodyguardcareers.com. Both sites achieved top 2 rankings for general keywords after much hard work, and are still ranking highly in their niche. Jeff owns hundreds of other domain names and has created other niche specific websites for search experimentation like funnyvideosearch.com. Jeff is currently a partner at Three Deep Marketing in St. Paul where he is in charge of a growing online marketing department. He oversees $5 million in annual AdWords spend and 30+ organic search engagements. Key clients include Gerber, Marvin Windows, Nestle Nutrition, Jacuzzi, Lean Cuisine, C&H Sugar, Acorn Media and Kroll Ontrack. 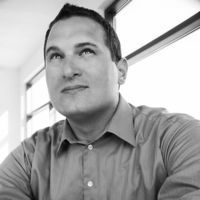 Jeff was also instrumental in Three Deep joining the Google Analytics Certified Partner program in 2009 and has spoken locally and nationally on Google Analytics, Search Marketing and Social Media. Three Deep has made the Inc 5000 list of fastest growing US companies for 2 consecutive years, as well as being named among the Best Places to Work in Minnesota. Jeff also enjoys traveling and has been to 6 continents. He is getting married to the love of his life in 2012.